Three elderly, indigenous farmers were crouched over a blanket on the rough grass. Piles of grain sat with them in hillocks, like sand. Two of them held large sieves. They hunkered on a blanket, sieving through and separating quinoa. It spoke of a lifetime of tradition, hard work, and an existence on the margins of life. I was with Avelino Morocho Coro, the diminuitive, poncho-clad President of COPROBICH, a Fair Trade cooperative based in Riobamba, Ecuador. 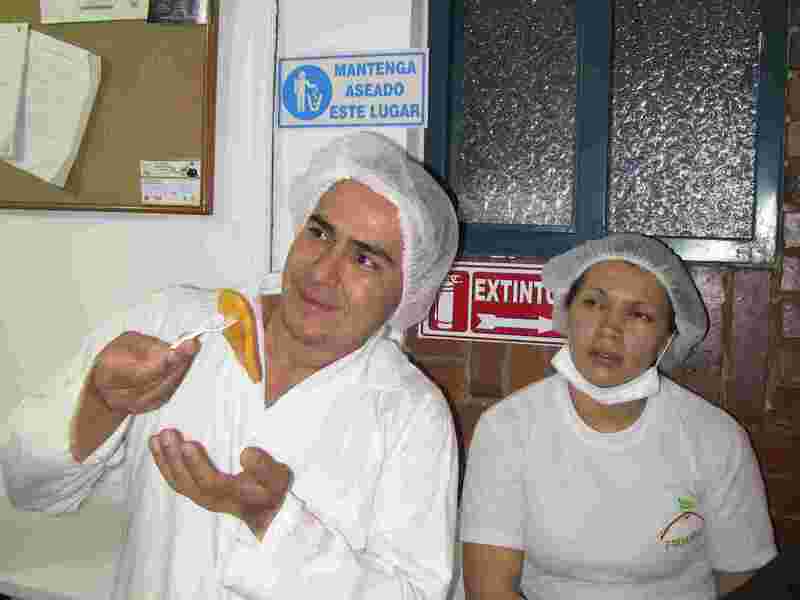 I accompanied Avelino on a tour of one of their producer areas and quinoa is the primary product within the co-op. This was the highland area (altiplano). It is cool, windy and life here is a challenge. 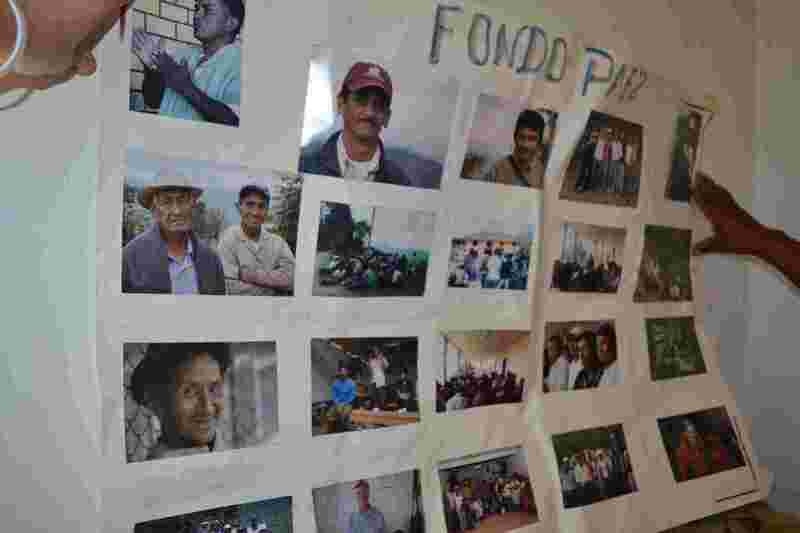 The previous day I spent some time with the rest of the co-op staff at their simple but homely office in Riobamba. Riobamba is the largest town in the region and was undergoing much construction amidst its historic, cobbled heart. In the same way, the co-op staff represented the mix of the modern and traditional. All were indigenous. Maria, the secretary, was dressed with the traditional poncho and hat, whereas everyone else (except Avelino, the President) wore regular clothing. The atmosphere was light-hearted. 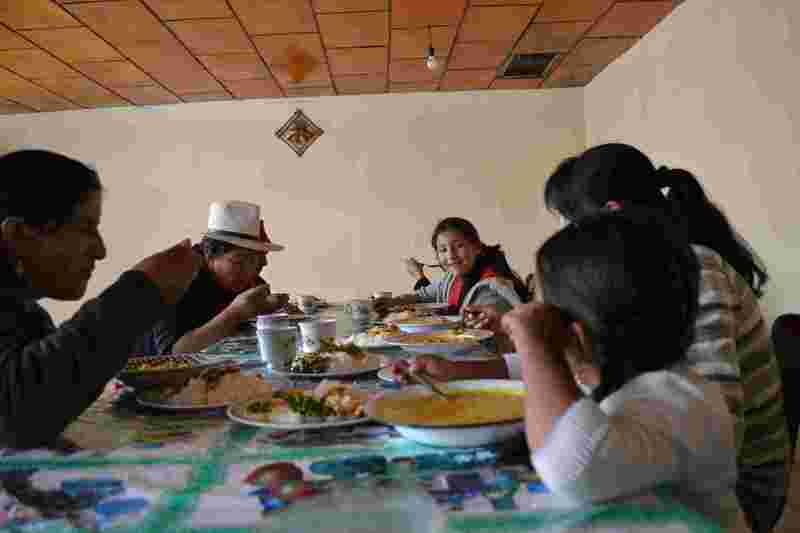 At least that was my interpretation, as I found it difficult to follow the mixed-language conversation – Spanish mixed with a healthy dose of quechua, an indigenous language of this region. It was a busy week with visitors coming from other organisations based in Quito, which led to plenty of animated discussion. Beforehand there was much hand-shaking and mucho gusto, which became funny to watch with all the smiling and exaggerated gestures. More inadvertent comedy was provided when Auorara, the bookkeeper, called Octavio on her mobile phone; he was sat just five yards away. Two of the visitors were Lorena from Oiko Credit and Wiliber from CECJ (Coordinadora Ecuatoriana de Comercio Justo). Producers within the co-op need access to credit to help their soil productivity and quality. The co-op was also looking to improve their quinoa washing equipment, a likely cost of several thousand dollars. In 2011 the producers had a major problem to wash the quinoa properly resulting in decreased production levels. Each year the co-op applies for credit so Lorena was there to discuss their requirements. In addition, a major client of the co-op (the French company Ethiquable. Others include Canadian companies Just Us! 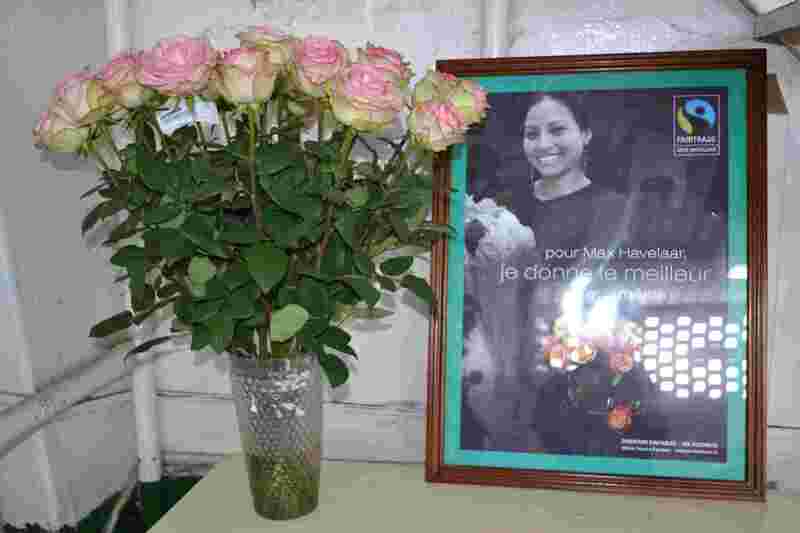 and Discovery Organics) donates a small amount of money. CECJ works within Ecuador and represents several small organisations and advocates on their behalf to give them better representation. Wiliber felt that the well-known international fair trade (FLO) certification and conditions required of co-ops puts smaller ones at a real disadvantage. 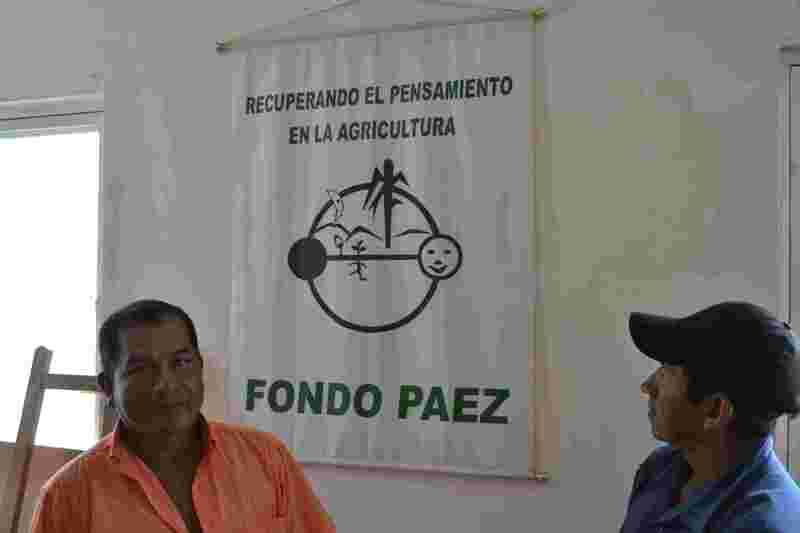 As a result he was in favour of COPROBICH changing their certification to the Small Producer (SPP) certification (criteria for this certification originates from within Latin America and more focused to the needs of these countries). ERPE, celebrating its 50th anniversary, is a local community radio station based at the same location as the COPROBICH office. They have been a lifeline over the years to get knowledge and information to these remote communities. We visited two warehouses (bodegas) and a processing area. They are small, simple concrete buildings and many are scattered about the terrain. Despite the difficult conditions of life here, I felt as if it wasn’t as poor as other places I’d visited. 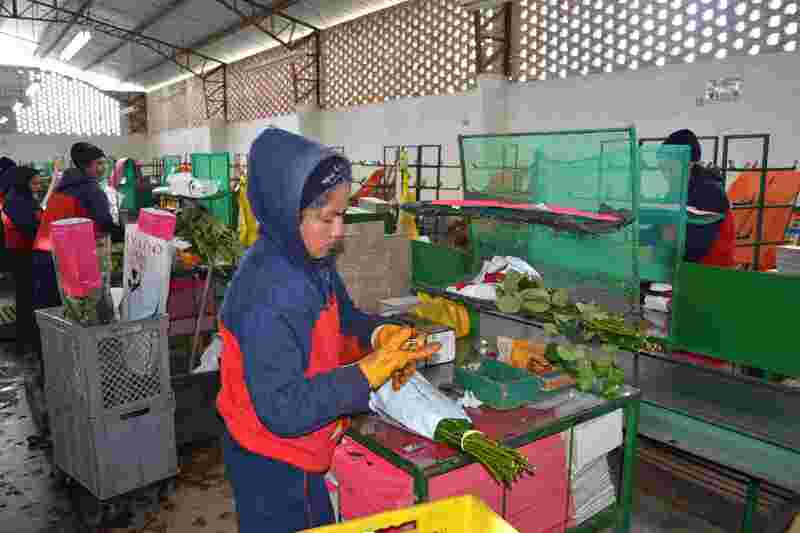 The typical size of a family’s production area is very small, around 0.6 hectares. Growing conditions are tough in this climate so the producers are in a vulnerable position. 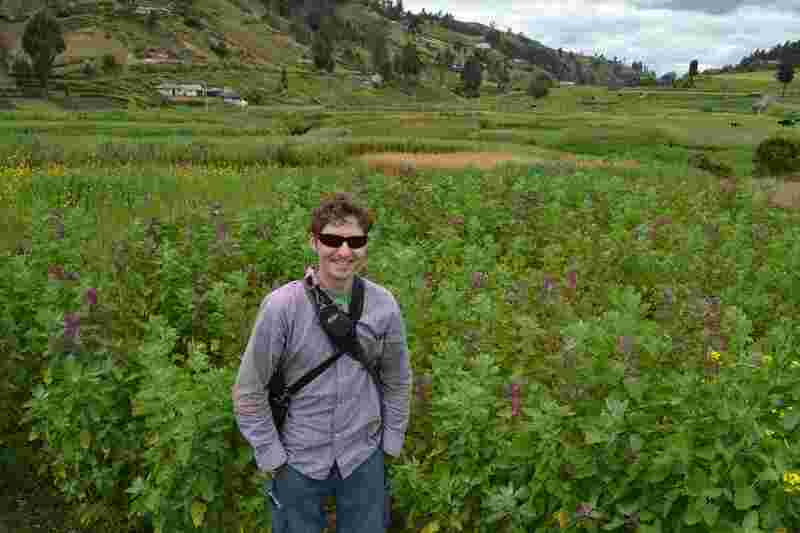 Aside from wheat for local consumption, some herbs for tea, there are few crop alternatives. 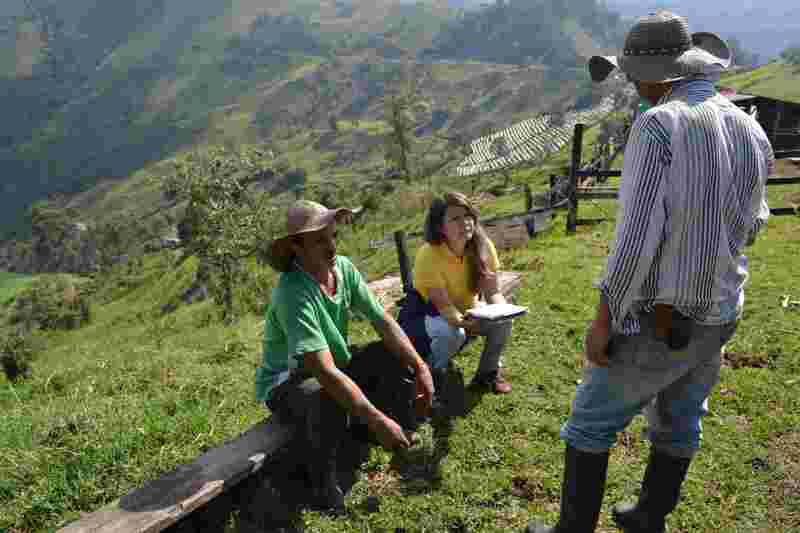 Many producers lack the technical knowledge to improve their harvests, which the co-op tries to rectify through education. The harsh nature of life in this area leads many of the younger generation to migrate away from the land, a problem endemic to farming in most countries. Quinoa is harvested once a year, typically between June and September. Seed planting is from October to January. At harvest, the quinoa is cut, washed and dried. 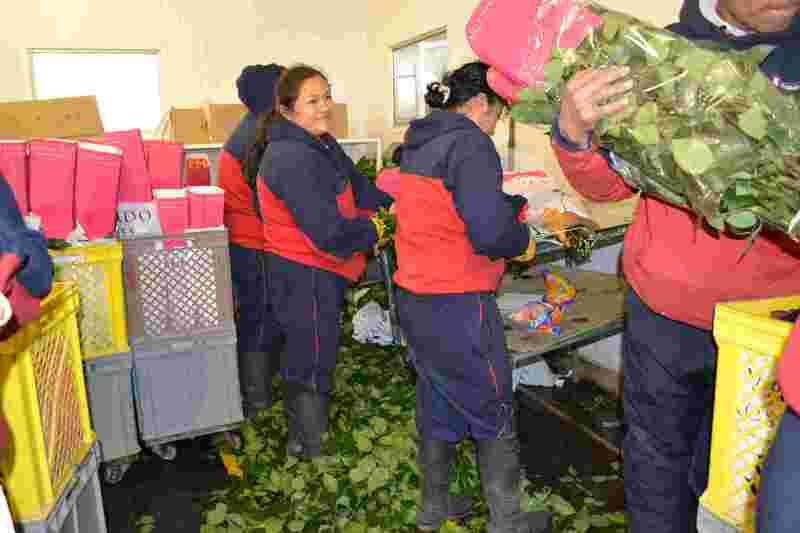 It can be stored for up to three years, which can be a problem for the producers who need to be paid promptly in order to be able to look after their families and to invest for the next year’s production. 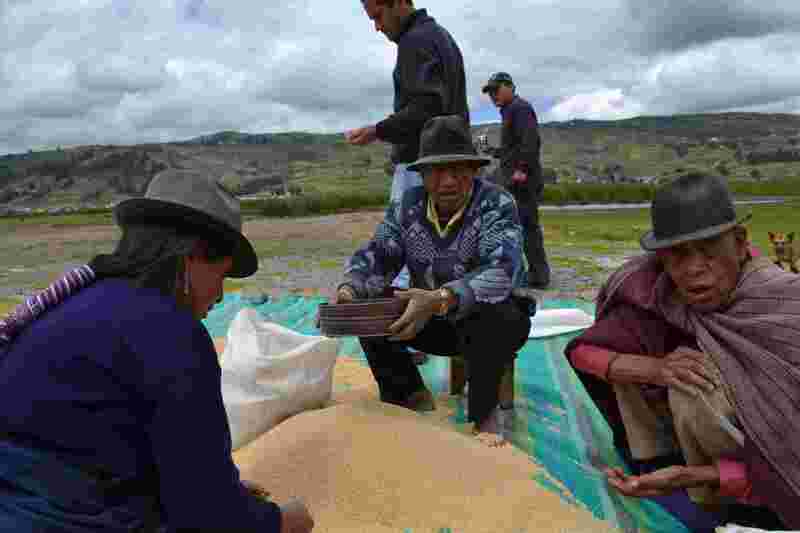 Production costs of quinoa here are approx $40 per quintal (1 quintal [qq] is approx 100 lbs). 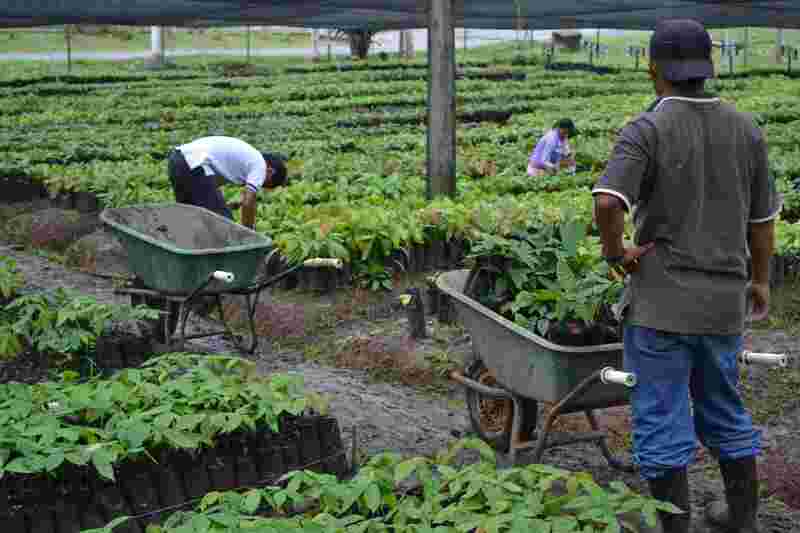 Producers hope to receive around $100 per quintal. In 2011 the co-op produced around 90,000 quintals, up from just 2,000 qunitals in 2004. Our tour of the campo proved interesting in several other ways. Jose, a father of three, was our driver for the day but the combination of his shoddy and wayward driving, four of us cramped in the back and the bare-bones state of the pickup truck meant an uncomfortable ride. At least for me; this was pretty normal for everyone else. When we stopped for petrol Jose left the engine running while filling the tank half with ‘extra’ and half with ‘super’. Clearly there is no Spanish translation to the phrase “health and safety”. The cramped back seat led to unwanted intimacy, such as witnessing Luis clean his ears with a pen top. We stopped for lunch at a nondescript cafe on the highway. This location seemed to be a regular haunt for the COPROBICH guys. I wasn’t expecting much in the way of a vegan meal. No menu here either, lunch was just laid out in front of us. No complaints from the others; three plentiful and meat-heavy dishes were delivered quickly, to (almost) all-round satisfaction. I ended my visit to the co-op with a shopping expedition at the Sumak Life shop next door to COPROBICH. Sumak Life (or Sumak Kawsay in the indigenous language) means good life or good living. This is an organic shop where local producers offer a range of goods from their communities. It had a surprisingly diverse range. Herbal tea, dried fruit, nuts, cocoa, jam and of course quinoa. But not just quinoa grains – quinoa flour, quinoa hot chocolate, quinoa snack bars. My snack quota was filled easily. Quinoa has been in the news a lot this year, from the positive (NASA-approved superfood!) to the negative (misleading stories suggesting that increased ‘western’ demand has led to price increases and thus affordability problems for local families). However, from the perspective of COPROBICH they are in a potentially good position to take advantage of this increased demand and prices. Through their increased production and exports they have improved the lives of the families within the co-op and are making investments in their future, such as the new warehouse. What was also really encouraging was relationships that exist with other groups. 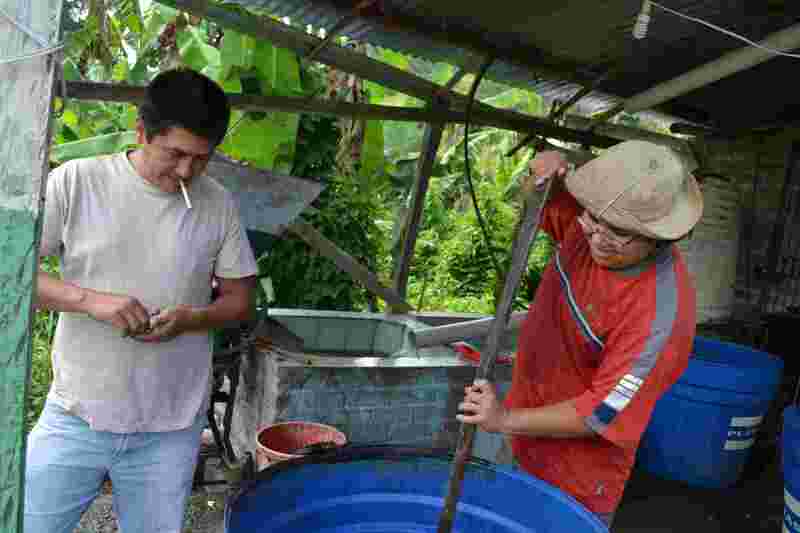 Together with ERPE and the Sumak Life shop, the local community is better positioned to support itself in a sustainable manner. 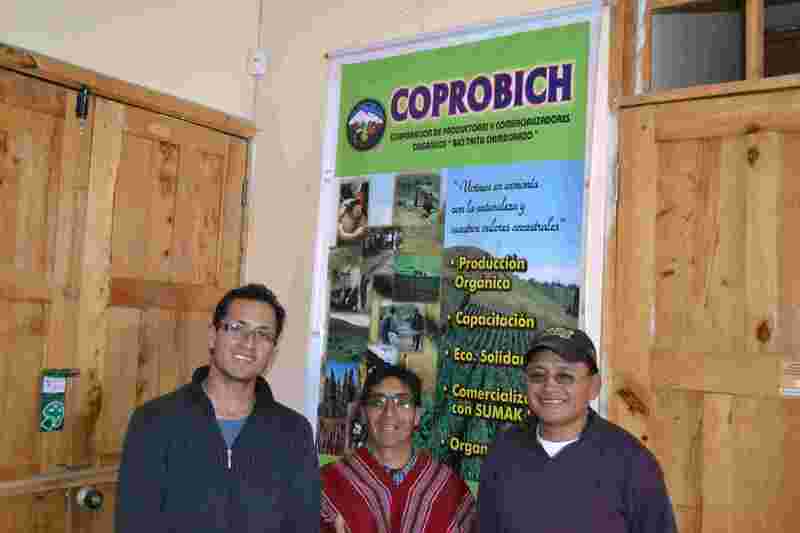 The Sumak Life organic coop shop, next door to the COPORBICH office in Riobamba. It offers plenty of quinoa products, and tea! I thought I was blogging at a good pace, like my cycling (ok, almost). But it seems to have veered off a little and I’m trying to catch up. I can measure the difference between where my blog is at and where I am at, in countries…so having just taken care of Nicaragua, I realise I’m four countries behind now. Costa Rica, Panama, Colombia and Ecuador. Not wishing to take until 2013 to get my blog all up to date, I’m going to give a quick rundown of some of my last visits, just to give an idea of where I’ve been recently. Later I’ll return to these places to provide a few more details. I had two visits in Costa Rica. 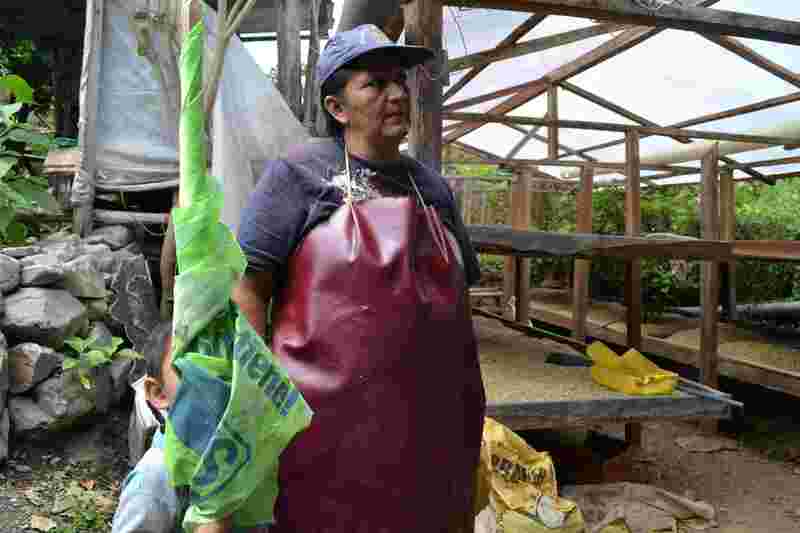 One was to a coffee co-operative (CoopeAgri) and the other a cacao co-op (APPTA). Both are certified Fair Trade. 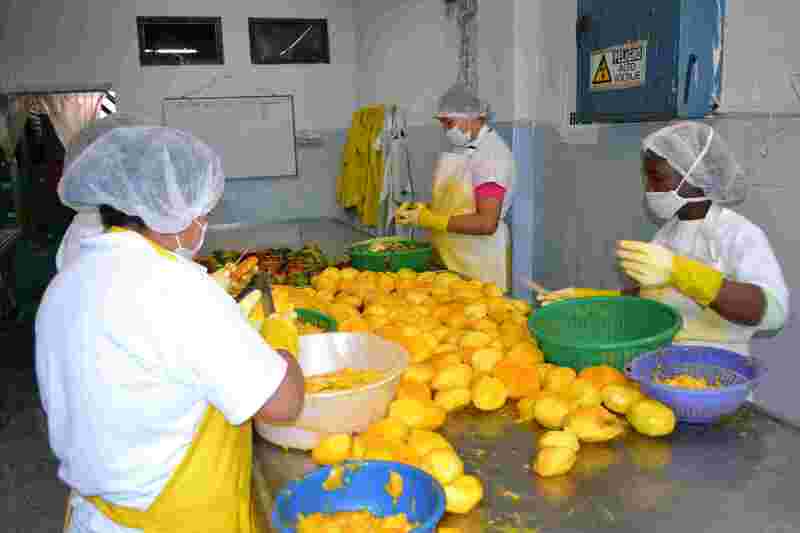 CoopeAgri is located about three hours’ south of San Jose, the capital. The co-op forms a major part of the town and surrounding communities and has existed for 50 years. 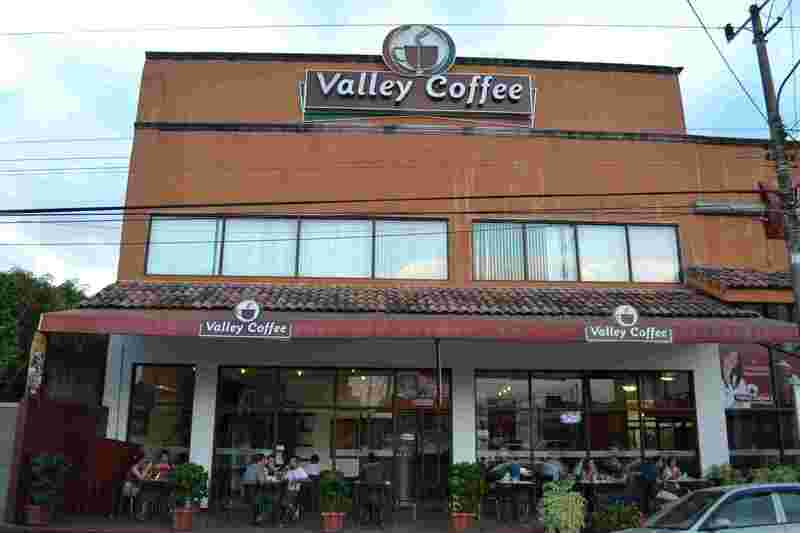 They produce coffee and sugar, and operate many other ventures within the town, including local banking, a petrol station, hardware stores and a new cafe. Uniquely, the town, San Isidro de El General (also known as Perez Zeleton) is an official “Fair Trade Town”. I found it a successful co-op and is a great example of how a co-op can be a positive influence within a community. APPTA is located in the remote northeast of Costa Rica, right by the Caribbean coast. 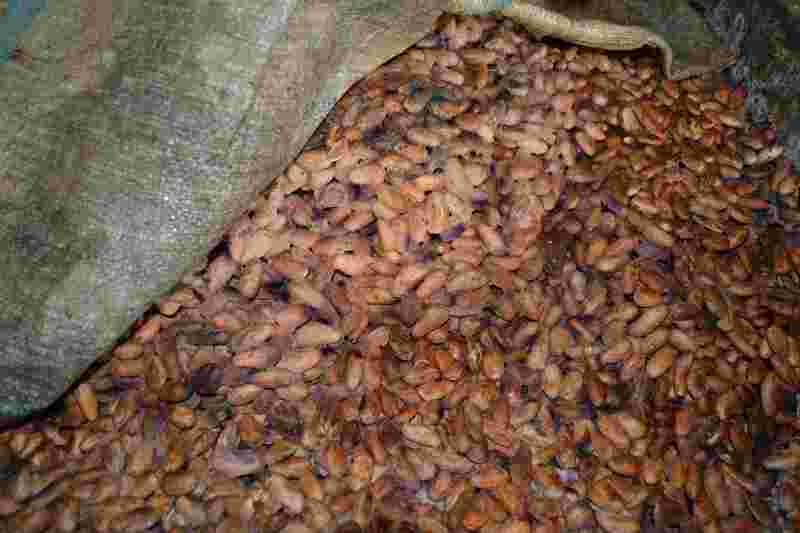 It’s a cacao exporter, and the producers also grow bananas and other fruit and vegetables for local and national markets. 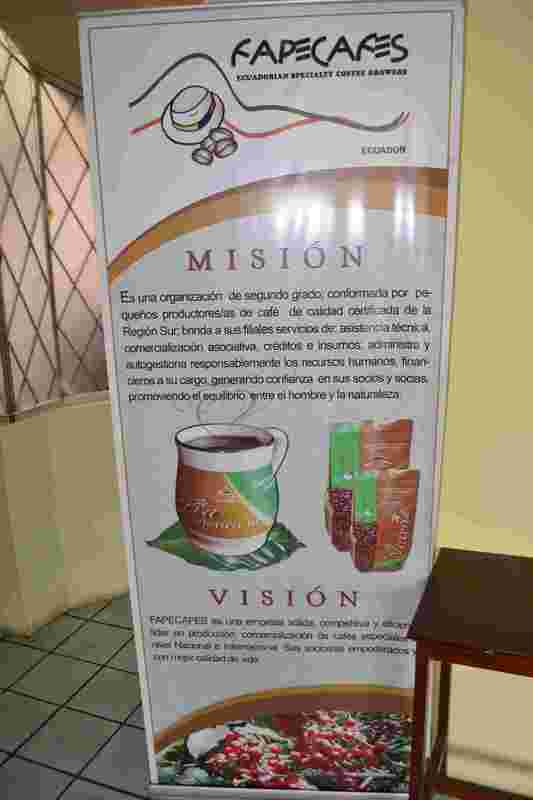 I visited their hot and humid cacao processing facility & office, just outside the town of Bribri. They export Fair Trade cacao and also have a nursery for cultivating fruit and vegetables for local and national markets. Bananas are also a major part of their operation. The highlight, without doubt, was tasting some fresh cacao pulp right off the tree. It’s completely different to what we think about cacao – citrus flavour, sweet and so refreshing. The APPTA nursery. Plants here are cultivated within the coop and also sold to members. 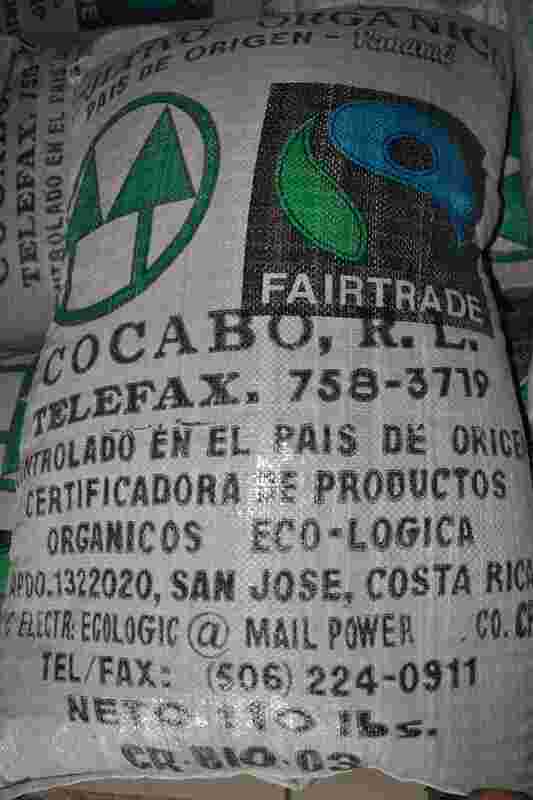 COCABO is a Fair Trade cacao co-operative that has existed for 60 years. 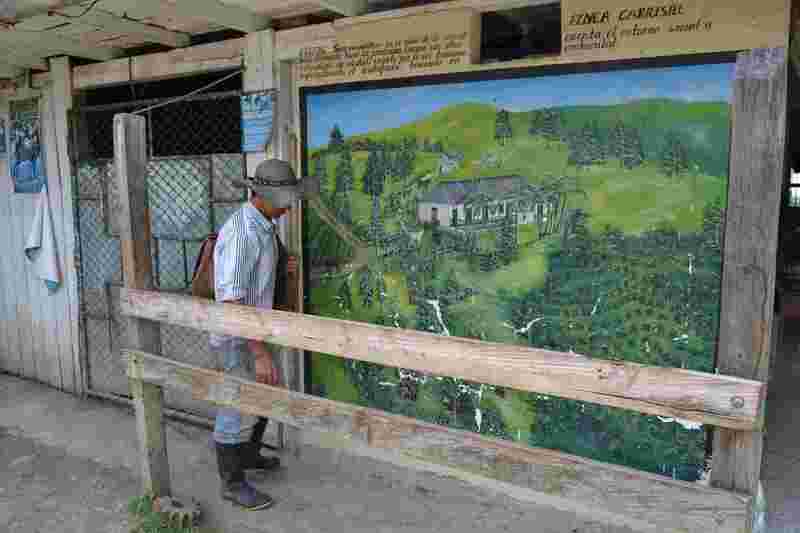 It’s the oldest co-op in Panama. Located in Almirante, in the remote northwest corner of Panama, it’s a Fair Trade co-op that exports organic cacao and also cultivates bananas for sale within Panama. I met various people, including the indomitable Elma, who’s worked there for more than 25 years. She’s seen it all, and felt ambivalent about the benefits of Fair Trade. 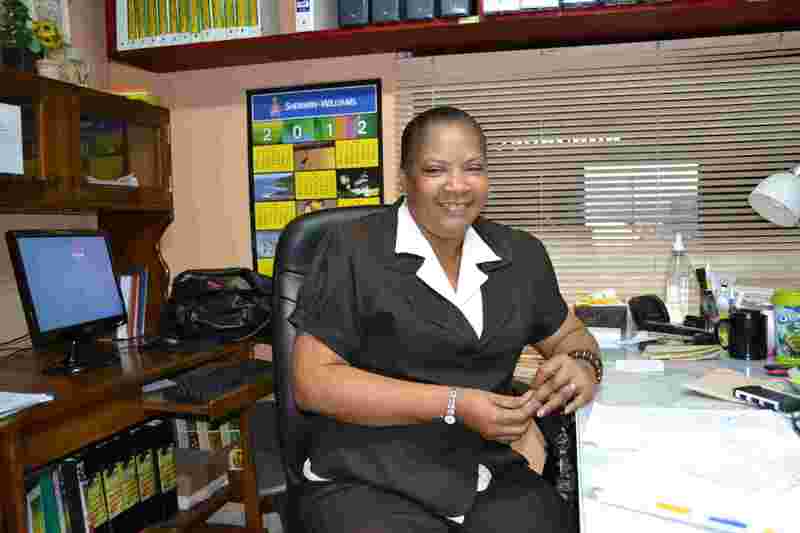 I was surprised at her philosophical attitude, and her humour outweighed her negativity over some aspects of Fair Trade, such as the minimum price and how much help the Fair Trade social premium provides. 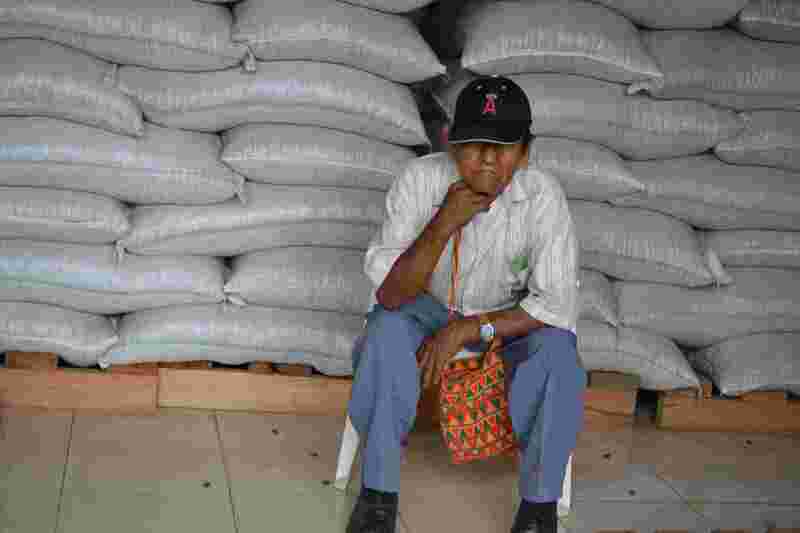 A cacao grower takes a siesta. It's tiring work dealing with this heat..
Fruandes (Frutos de los Andes) has a processing office in Bogota. Actually I couldn’t tell what it was originally, but I was told that it was probably a house. Hidden within, tardis-like, seemed like a secret hive of fruit, delicious aromas of mango and some very very busy people in white coats. 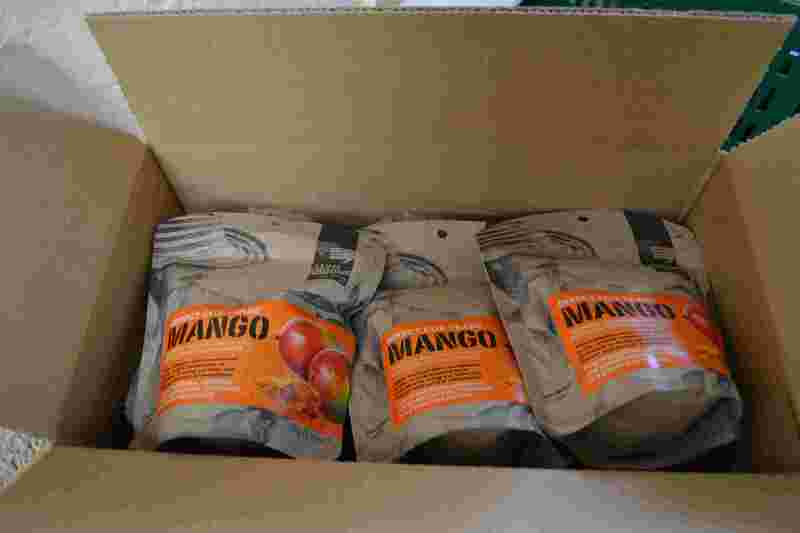 The mango harvest was late this year so it was a mad scramble to get the mangos dried, packed and shipped out. 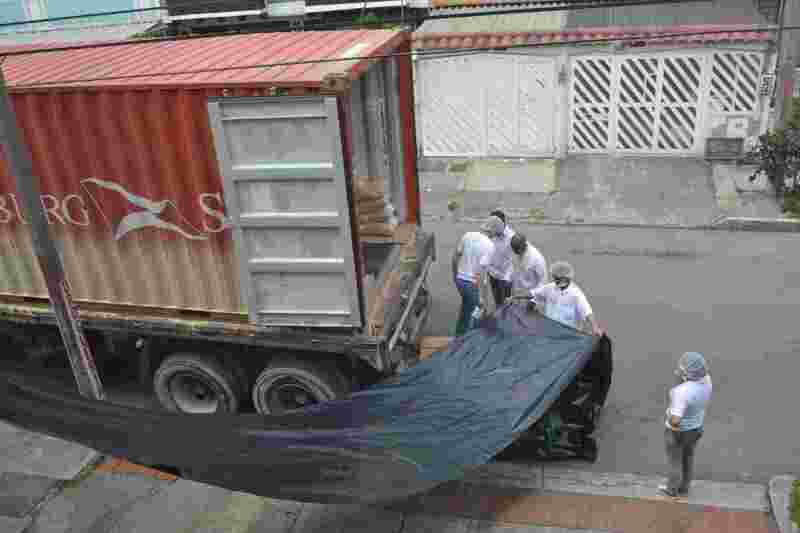 I arrived on the day they were shipping a lorry-load to Vancouver. Chaotic was understating it, but it was all being done in good spirits. After the chopping comes the drying, sorting and packing. Et voila! Also in Bogota, in a tiny office out of the centre is where Factoria Quinoa is located. Luis Avella is the man behind it. He was more than busy; I barely got to speak to him over a hurried lunch. 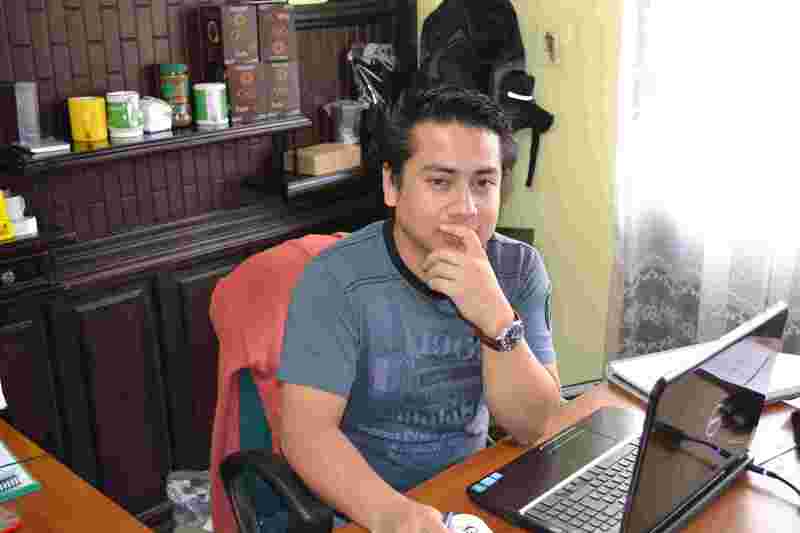 He’s an entrepreneur who came out of academia to start up his company. He has written and lectured about Fair Trade for many years, but felt the best way to help people was to start up his own company. Factoria Quinoa sources quinoa from small growers in southern Colombia. The company focus is on quinoa as a health food, so they make quinoa ‘powder’ as well as quinoa grain. One of the highlights of my trip was spending a couple of days in Jardin. It’s a very small town south of the city of Medellin. Tucked in amongst the surrounding Andes mountains, it is a refreshing, tranquil spot to relax in. The beautiful town square had me wanting to just sit there and drink coffee all day, much as some of the locals undoubtedly do. On my way south, a little distance from the city of Cali (home of salsa, apparently), is the coffee co-op Fondo Paez. I visited their newly-acquired office (a house, really) in the town of Santander de Quilichao. 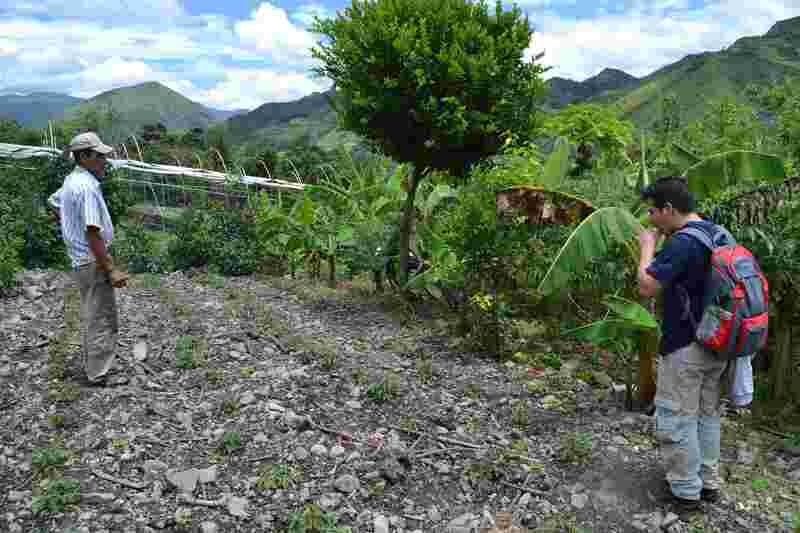 They are an indigenous co-operative of “Nasa” people with around 460 growers who live up in the surrounding highlands. It was basic stuff, almost no furniture, plastic chairs, a dot-matrix printer whirring in the background…Celio, one of the co-op directors chatted to me throughout. It was obvious to me that they have a tough life, but he said Fair Trade has helped give the co-op some better opportunities, such as the office where I met them. Ecuador is a rich treasure of many many things. 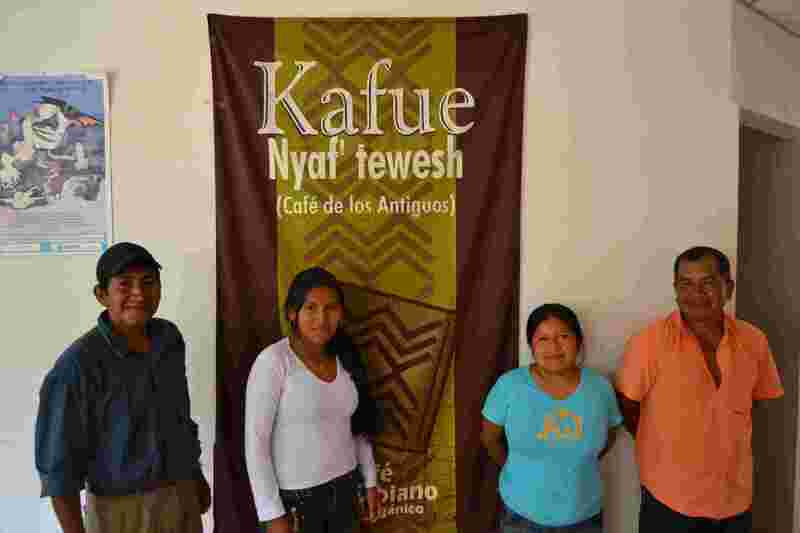 I got lucky to have such a diverse experience with my Fair Trade visits. I got to learn about three completely new Fair Trade products, roses, alcohol and hats, and also got a closer look at Fair Trade quinoa. My visit to Ecuador was rounded off with a coffee visit. 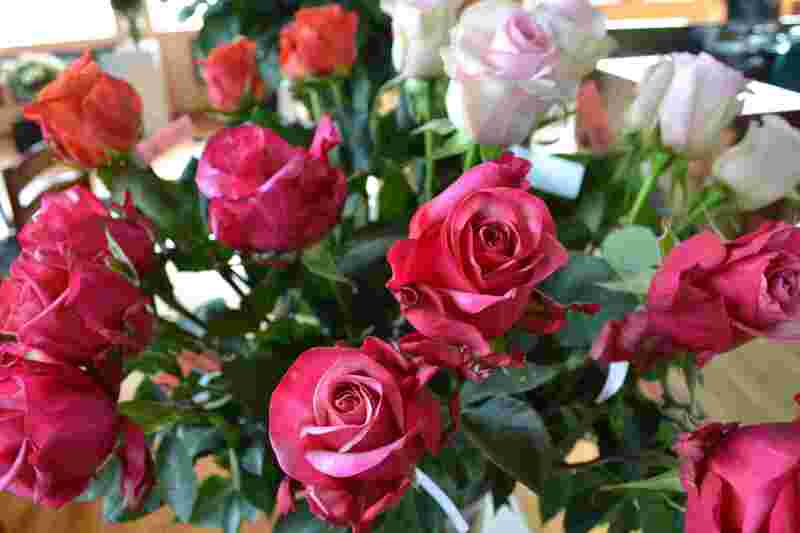 The roses I saw were amazing, fantastic quality long-stem roses. 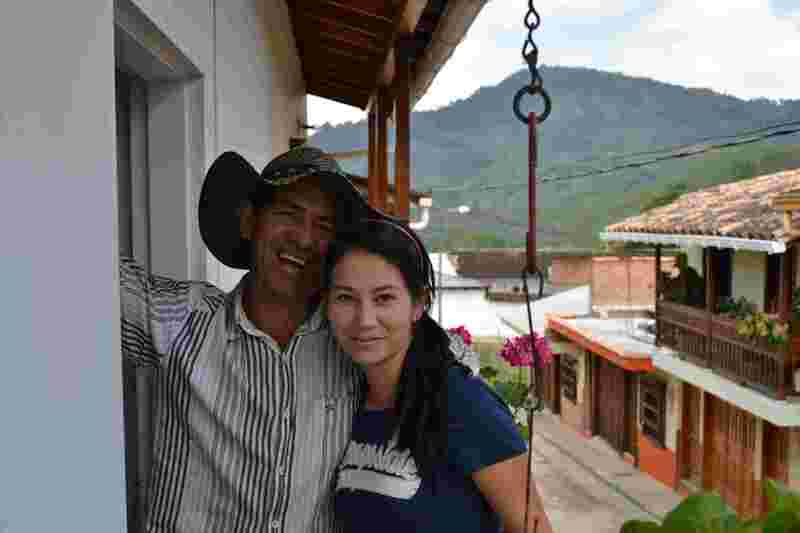 John Nevado is a comitted Fair Trade producer, but he has many reservations about the process. Who wouldn’t like Fair Trade alcohol?? 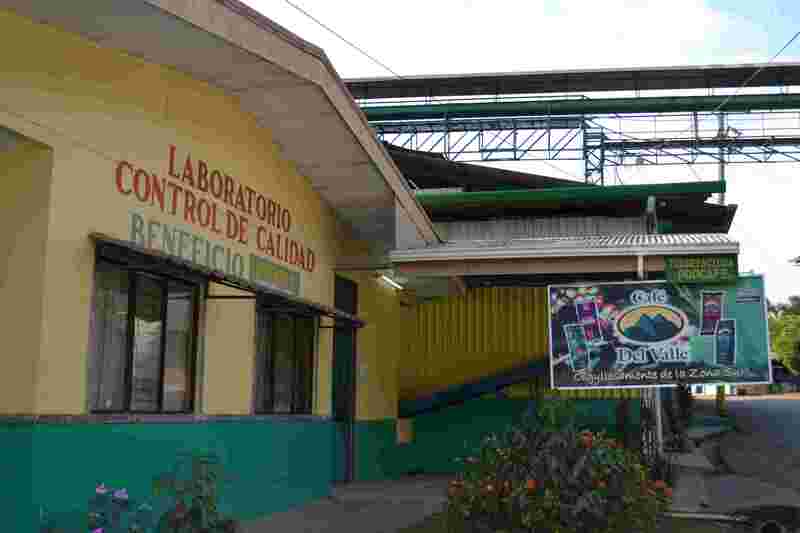 CADO is an alcohol producer, though at the moment the alcohol they produce is for cosmetics. They have plans to make alcoholic drinks, so let’s hope the BC Liquor Board gets its act together one day to allow us to bring more Fair Trade booze to sell in Vancouver. COPROBICH is a quinoa co-op in the heart of the country and I got a better idea of how it’s produced and even got to see my first quinoa plant! Further south, near Cuenca, is the co-op AMTA. 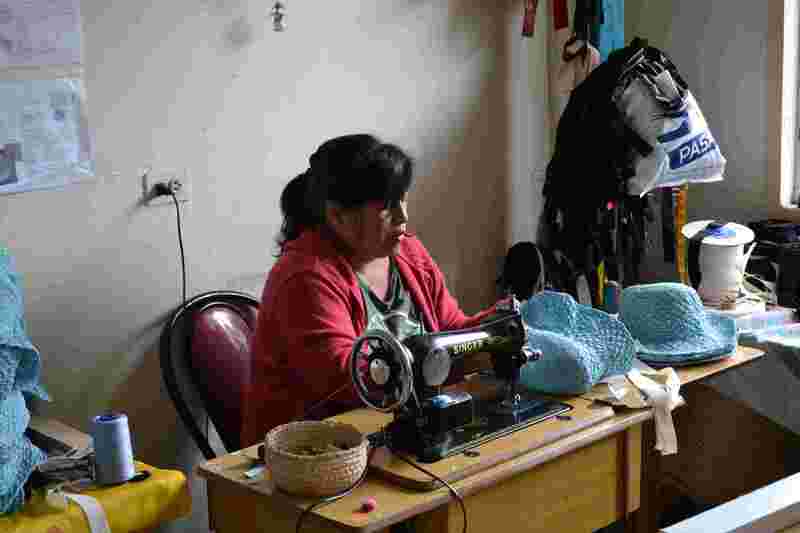 They supply directly to the UK company Pachacuti, a Fair Trade hat company. 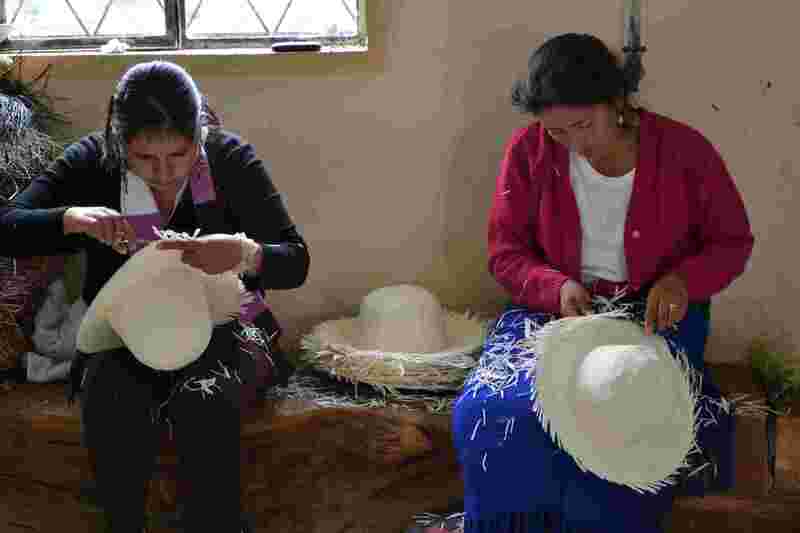 It’s a group of less than a dozen women that make panama hats (and many other styles too). The region is a large producer of hats, and this was a unique chance to see Fair Trade here. I rounded off my Ecuador trip with a visit to a coffee co-op and I felt right at home again amongst the coffee bushes. 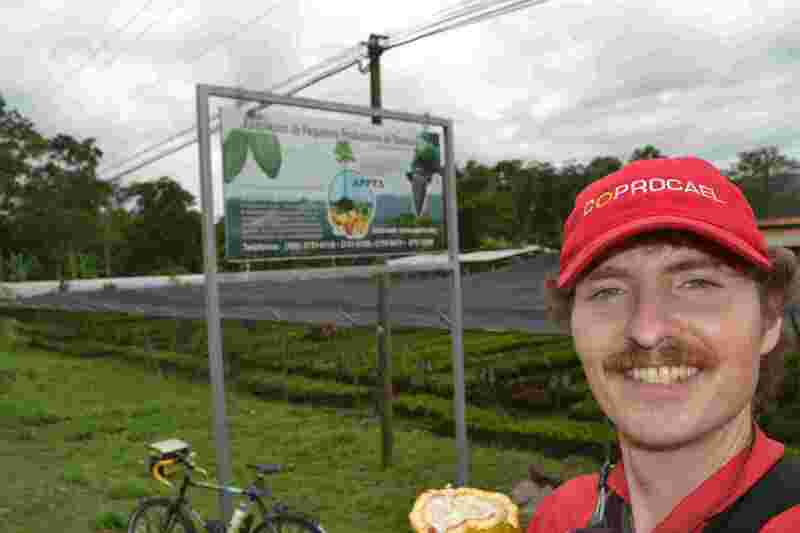 Ecuador is not a major coffee producer but FAPECAFES is a large producer association (1700 growers) in the Loja region, close to the Peruvian border.